Convention centers are challenged to provide reliable Internet solutions for exhibitors and attendees inside their venues. For one, the floor plan is constantly changing and wires can be cut during set-up. For another, the high influx of attendees makes reliable high-throughput Wi-Fi and cellular difficult to provide. 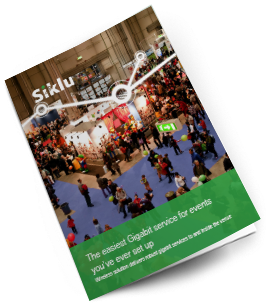 Read how Siklu wireless solution delivers robust gigabit services to and inside the venue!